Prevention and Control Category: Coqui are currently a rapid response species for the Hawaii Department of Agriculture (HDOA) and the Island Invasive Species Committees (ISCs) for all islands. Eat huge quantities of insects, removing insects from forest floor to treetops. Coqui frogs do not travel very far on their own, but when given the chance to hop on a nursery plant, flowers, or vehicle, they can quickly spread. Most coqui arrive on new islands through infested nursery plants and flowers. Intra-island, coqui travel by the movement of plants by humans and may hitch a ride on vehicles. 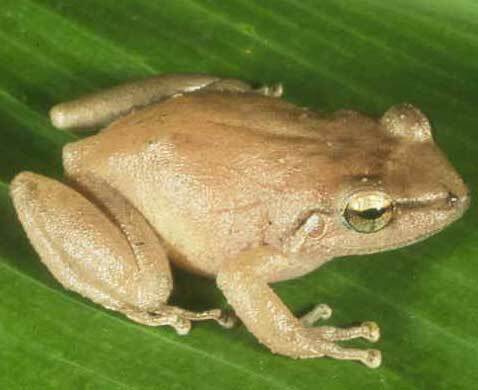 The coqui frog is currently widespread on the island of Hawaiʻi, but is only known to be in a few locations on the island of Maui, Kauaʻi, and Oʻahu. They are not present on Molokaʻi or Lanaʻi. If you see them anywhere else on Maui, Molokaʻi, Lanaʻi, Oʻahu or Kauaʻi- let someone know! 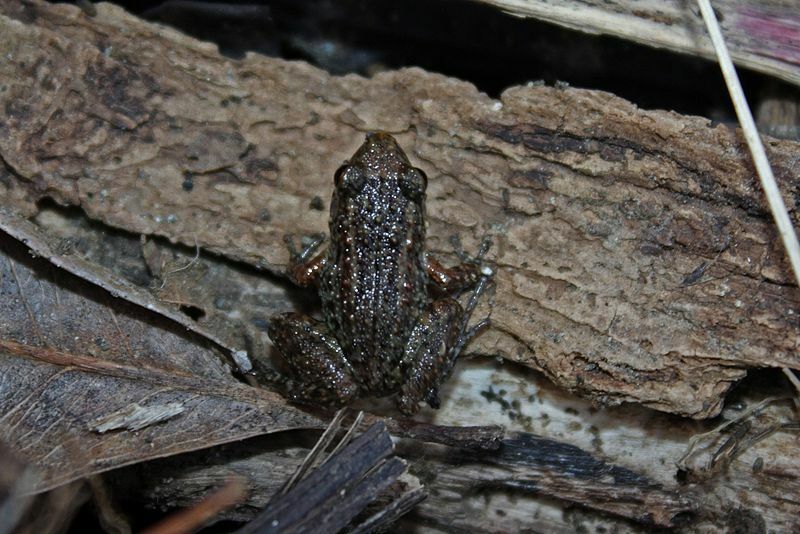 The greenhouse frog is widespread throughout Hawaii. 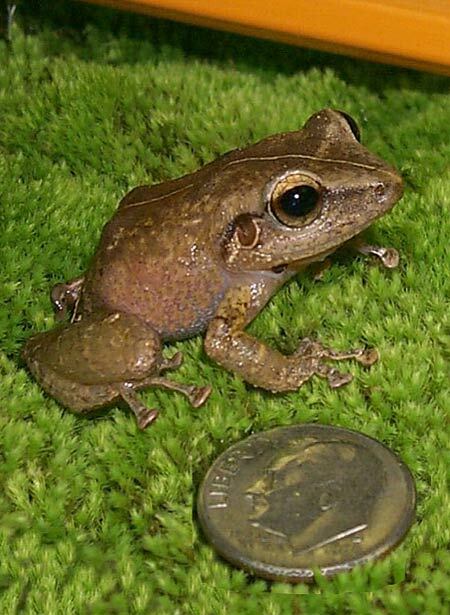 This small tree frog is usually slightly smaller than 2.5 cm (1 in). Usually copper colored with WARTY TEXTURED SKIN. Narrower snout and less distinct toepads than the coqui frog. CRICKET-LIKE VOCALIZATION. Found only on the ground.